Delta Road Preschool provides a nurturing, trusting and caring environment that promotes each child’s uniqueness and creativity. Our innovative, high-quality programs guide and inspire young minds to explore new skills, new relationships and the world through play and encourage children to participate in different activities through the session. Learning through play allows children to discover at their own pace and gain confidence and skills needed for future success in learning. Our team of dedicated early childhood educators work with families and the community to ensure networks and opportunities exist for children to develop a strong sense of community and social interaction. At Delta Road Preschool we take advantage of our open plan centre, spacious outdoor area and nearby parkland. 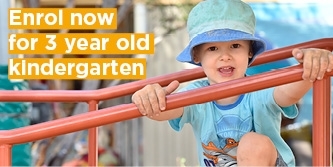 Children use a range of facilities on a daily basis, including a large outdoor play area, covered sandpit, book library, home corner, and indoor and outdoor play equipment. We're passionate about delivering a stimulating and innovative play-based program designed to intrigue, fascinate and inspire young minds to explore and discover. 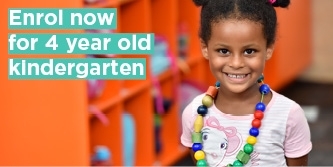 Our centre provides 15 hours per week of kindergarten in our four-year-old program. This is currently provided over three days with two four-hour sessions (on a Tuesday & Thursday) and one seven hour session (on Wednesday). Our centre is unique in the area as it also provides the option of attending additional multi-age sessions as part of our three-year-old program. Our three-year-old sessions are run as multi-age groups where both three and four-year-old children can interact and learn from each other. This provides invaluable experience for both age groups with the children learning to play and experience the kindergarten together. These multi-age sessions are for three hours each on a Monday, Tuesday, and Thursday and three and four-year-olds can choose to attend any one, two or all three sessions as desired (up to the maximum capacity of enrolments for the session). Four-year-old children attending any optional multi-age sessions will also require the corresponding lunch care to cover the lunch break between the different sessions. Please review our session timetable and fee structure below for more information. For additional information on our programs and session times, please contact Delta Road Preschool directly on (03) 9434 1113.